Surfs Up is an all new and completely wacky game from the team at Ubisoft which follows the story of the hit movie which won many awards a couple of years back. The game has excellent graphical content as well as some of the best game play of any animated movie game I have ever played before. 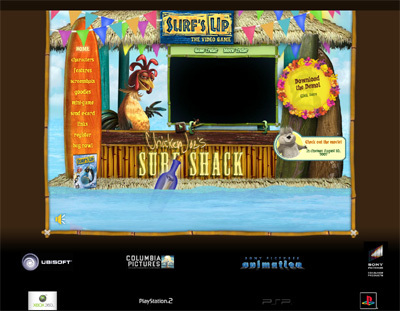 We have also compiled a Review System for this, of which Surfs Up is Rated as Four Stars, the second highest possible score available from the Game Review Team.